The Communities Connect Network (CCN)/EdLab Group has been awarded a $4.1 million public computing center grant from the Department of Commerce NTIA Broadband Technology Opportunity Program (BTOP), as part of the federal stimulus funding. Residents in Seattle and across Washington State will benefit from today’s joint announcement by the Department of Commerce and Department of Justice. It will significantly increase access to technology and essential services, develop job skills, and encourage broadband adoption for vulnerable residents. The City of Seattle is a leading partner in CCN and a number of public and non-profit computer access and learning centers here will benefit, including our community centers and Seattle Housing Authority properties. This unique project brings together community non-profits, government, libraries and the justice system to reach vulnerable residents in rural and urban communities in seven counties. The UW I-School, Northwest Justice Project and the Workforce Development Council are among the key partners. Additional capacity building training and online resources will promote use of best practices in digital literacy, job training, access to legal services, serving limited English speakers, and after-school programs. Read more and see the list of sites on the CCN site . This project will significantly increase access and encourage broadband adoption for vulnerable residents. It supports the City’s goals of supporting youth and families, public safety, public engagement, race and social justice and working towards digital inclusion for all…and more residents will save driving by being able to do business online. Our Community Technology Program is serving as the liason to this project. Congratulations to all! 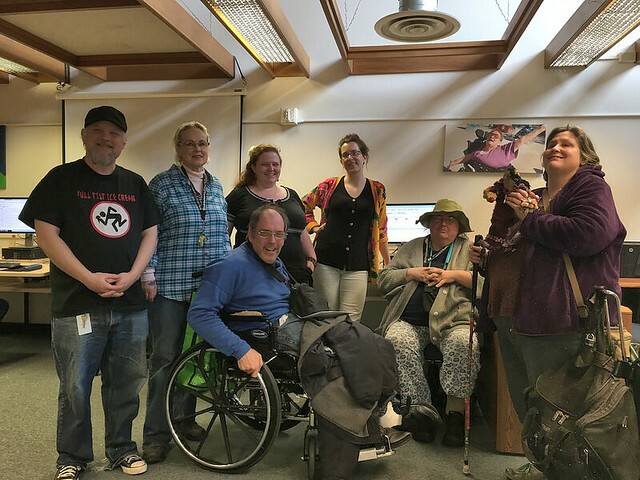 As we work with communities to expand their social networks, we’re often asked the question about resources for people living with disabilities. One tool I’ve found is Qwitter – what is Qwitter?? Qwitter is an accessible Twitter client designed for access by the blind, providing an innovative integration between Twitter and a user’s screen reader. For a comprehensive look at Qwitter, and all its features, capabilities and quirks, visit them at http://qwitter-client.net/.